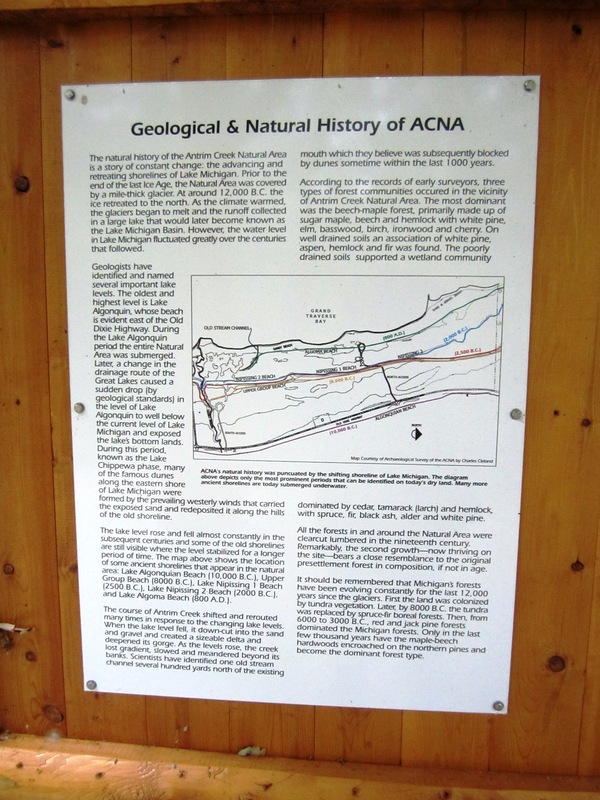 There are some very fine posters in the little shelter at the south end of the Antrim Creek Natural Area, and I thought you ought to be able to read them for yourselves. They are larger files than I usually post. If you’re on sloooow dialup you might just want to mosey over to Antrim Creek to read them. It would be more fun, and might take less time . . .